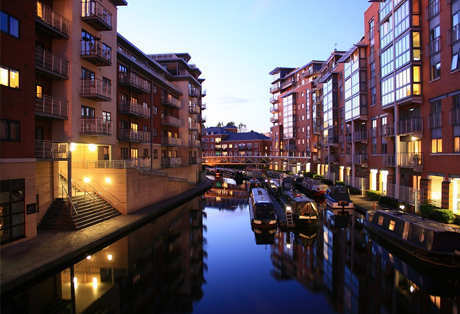 Investors and landlords are now focusing their attention further north as millennials fuel rental growth in areas such as Manchester, Birmingham and Leeds following their exit from the UK capital. Rents in other major UK cities are now growing faster than both London and the national average according to the latest National Rent Review undertaken by buy-to-let lenders, Landbay and supported by rental analytics from the MIAC. Historically, the property market in the south has been at the root of all savvy property investments, but as young professionals choose to explore career prospects in other areas outside of London and rental demand grows elsewhere, the line begins to blur between the markets in the north and south. As such, both investors and landlords alike should now be focusing their investment efforts towards regional hubs in the north and the strong year on year rental growth prospects that can be taken advantage of in such areas. Research into rental prices across the UK reveals that rents across the board increased by 0.03 percent in November of 2018, bumping up the growth throughout the year to a respectful 0.97 percent – a 0.04 percent increase year on year. Despite a cooling down of the rental scene in the capital, London still managed to achieve a rental growth of 0.58 percent, with 27 of the 33 London boroughs experiencing a consistent increase in rental prices in the past year. However it was the East Midlands, Yorkshire and Humber and the West Midlands that saw the most substantial growth in rents last year – 2.25 percent, 1.5 percent and 1.48 percent respectively – with these regions set to climb even further in 2019. Throughout the UK, there is huge regional disparity when it comes to yields, rent prices and rental returns, meaning that investors and landlords need to set their sights further afield and look to diversify their portfolio with properties up and down the country. Despite London’s slight increase in rent prices, accelerated annual growth in cities such as Leeds, Birmingham and Manchester will outperform the capital and put the north on the map as the new buy-to-let hotspots for investors. Internal migration and work commitments are two of the major driving factors which have led to increasing rent prices further north, as millennials leave the capital and relocate to cities with an abundance of employment opportunities. Since 2012, London has experienced a net loss of nearly half a million residents as people choose to explore prospects outside of the capital amid the growing living and housing costs. The London property market does however remain resilient despite a slump in market activity and even in the face of Brexit, continues to be a sound investment for many. As young professionals fuel rental demand in the north upon exiting London, an increasing number of landlords and investors are now recognising the value of investing in these regional hubs and we can expect this to be reflected through a shift in investment focus and effort in the following years as other cities give the capital a run for its money.